Probably the most outstanding holiday property in St Mawes. Located right on the water's edge overlooking the beautiful Percuil River, The Boathouse is simply irresistible! Relax on your balcony and watch the world go by. Suited to couples only. The Boathouse in St Mawes is one of the most delightful places to stay in Cornwall. The Boathouse is a skilfully converted former sail loft fronting directly on to the Percuil River with exposed beams and wonderful views across to Place Manor and St Mawes Harbour. From your balcony or the sitting room you can watch the boats passing slowly by, or maybe look out for some of the varied wildlife that inhabits the river. St Mawes Harbour with its shops, pubs and hotels is a short walk away along the seafront. From the harbour in St Mawes, you can take ferries to Falmouth, Truro, Place Manor and many other parts of the estuary. The harbour itself is a great place to watch the world. Take in a coffee, read the newspaper, watch the ferries come and go, take a stroll to the St Mawes Castle, have a cream tea at the Hotel Tresanton! The Boathouse is superbly located for those wanting to get out on the water. You can bring a small dinghy and use the private slipway in front of the property. The owners are able to organise dinghy and dayboat sailing or organise yacht cruises at an additional cost. A small rowing dinghy is also available to hire. For boats up to 20 feet, there are two moorings available upon request and subject to availability at weekly rates, together with use of slipway and trailer parking. Relax or do as much as you want; The Boathouse is just a lovely place to be! Please note that the slipway and the ground floor of the property are used regularly by the Owner. Ground Floor Only: The property is accessed via a paved patio area and consists of a bedroom with a double bed of ships bunk style, bathroom with overbath shower, WC, pedestal basin and wall heater, and a kitchen/breakfast bar/lounge with stunning views across the Percuil river to Place. Exterior: Full width patio doors give access to the railed balcony and enclosed patio area with a table and chairs to enjoy the lovely river views. Heating is in the form of convector heaters, a night storage heater and oil filled radiators. All electricity, linen, duvets & towels are provided but you will need to bring your own beach towels. There is a TV and DVD player. The kitchen has an electric hob and oven, fridge, microwave, kettle and toaster. Please note that there are no clothes washing facilities at The Boathouse but there is a clothes horse for drying clothes. Private off road parking is provided and is sufficient for two cars. WiFi is available at the property. Small well behaved dogs are welcome at an additional cost of £25 per dog / per week. There are shops, restaurants and pubs around St Mawes Harbour which is only a 5 minute walk away. Regret no smoking is permitted. £200 pre authorised to your credit / debit card as a security deposit is required. St Mawes has so much to offer the visitor. St Mawes Castle was built by Henry VIII and is a splendid place to take in the views of the Carrick Roads. There are miles of coastal and countryside walks to take in and some idyllic beaches on which to relax and watch the world go by. The little Place Ferry takes visitors to explore St Anthony's Head or there are regular ferries to Falmouth. Being situated on the seafront, the village is also known for the restaurants and pubs that serve superb fish and shellfish dishes all year round. Located a 10 minute walk from the harbour in St Mawes, this luxury, spacious, large and detached family house sits within gorgeous well-established gardens and is just moments from the Sailing Club quay. A quite beautiful place to stay. Discounts available for up to six people staying for 7 nights outside the peak season, using three rooms only. The White House is a magnificent luxury holiday home with character, period property, built in the 1920s, with period features aplenty including mahogany panelling and doors and outstanding views across St Mawes Harbour. Dog friendly and the substantial mature gardens offer plenty of privacy and yet you are only a very short walk from the crystal clear waters of Summers Beach, the hotels, restaurants, pubs and shops in this iconic Cornish village. Low occupancy discounts are available if staying for 7 nights outside the peak season for 4 or less using two bedrooms, 6 or less using 3 bedrooms. Possessing one of the most astonishing views of any property in St Mawes, this beautifully presented luxury apartment is a simply wonderful place to enjoy a holiday. The living room and both bedrooms enjoy grandstand views of the harbour and the terrace is a complete sun trap. A lovely apartment overlooking the Percuil River in St Mawes. Ideal for those wanting great value accommodation for a couple in St Mawes. 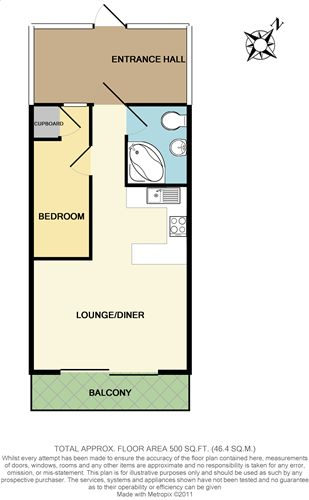 Can be combined with Polmaro to provide accommodation for up to 4 people. Regrettably no children under the age of 12 please. A lovely first floor self contained apartment in St Mawes with views overlooking the Percuil River. Can be combined with Pelyn to accommodate up to four people. Regrettably no children under 12 or pets please. Primrose Hill holiday home occupies a spectacular position in St Mawes with stunning estuary views of the Percuil River and across to Froe Creek. A luxury holiday home which is beautifully spacious, refined and immaculately presented and with the benefit of almost every modern convenience. A 10 minute walk will take you to St Mawes village harbour. Located in one of St Mawes' most exclusive roads, this detached two storey luxury holiday home has undergone an complete modernisation and is presented to the highest of standards. The property has views across St Mawes Bay to Pendennis Castle and St Anthony headland and is just a short walk from the harbour area. Seagulls is an extensive house, sleeping 8 with delightful uninterrupted views over the Percuil River & Froe Creek in a quiet residential area of St Mawes. The property is ideal for those looking to get out on the water & is only a short walk to St Mawes harbour. Seagulls can sleep up to 11 people upon request of annexe room. Well behaved dogs welcome. Discounts available for 6 people or less staying for 7 nights outside the peak season, using the main house only. Perfectly positioned, just a stone's throw from the sea, Thimble Cottage is a cosy, yet well equipped traditional fisherman's cottage. Nestled behind the Idle Rocks Hotel but with views of Summers beach and a short, flat walk to the local bars, restaurants and shops, this cottage is a perfect base to enjoy the watersports in the bay, lounge on the beach, marvel at the views or soak up the atmosphere of a traditional Cornish fishing village. This absolutely fabulous 2 storey luxury maisonette is in the perfect position right in the heart of St Mawes. Sea views from the sitting room and master bedroom, both with doors opening to the large balcony with seating and sun loungers. Light and airy, delightfully fitted out with sumptuous bathrooms and a modern, stylish, fully equipped kitchen. Just a few steps and you are on the harbour at St Mawes.